'The Ministry of Defence does not comment upon submarine operations' is the standard response of officialdom to enquiries about the most secretive and mysterious of Britain's armed forces, the Royal Navy Submarine Service. 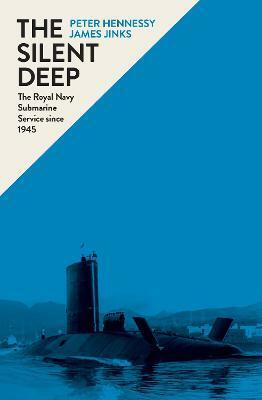 Written with unprecedented co-operation from the Service itself and privileged access to documents and personnel, The Silent Deep is the first authoritative history of the Submarine Service from the end of the Second World War to the present. It gives the most complete account yet published of the development of Britain's submarine fleet, its capabilities, its weapons, its infrastructure, its operations and above all - from the testimony of many submariners and the first-hand witness of the authors - what life is like on board for the denizens of the silent deep. Dramatic episodes are revealed for the first time: how HMS Warspite gathered intelligence against the Soviet Navy's latest ballistic-missile-carrying submarine in the late 1960s; how HMS Sovereign made what is probably the longest-ever trail of a Soviet (or Russian) submarine in 1978; how HMS Trafalgar followed an exceptionally quiet Soviet 'Victor III', probably commanded by a Captain known as 'the Prince of Darkness', in 1986. It also includes the first full account of submarine activities during the Falklands War. But it was not all victories: confrontations with Soviet submarines led to collisions, and the extent of losses to UK and NATO submarine technology from Cold War spy scandals are also made more plain here than ever before.